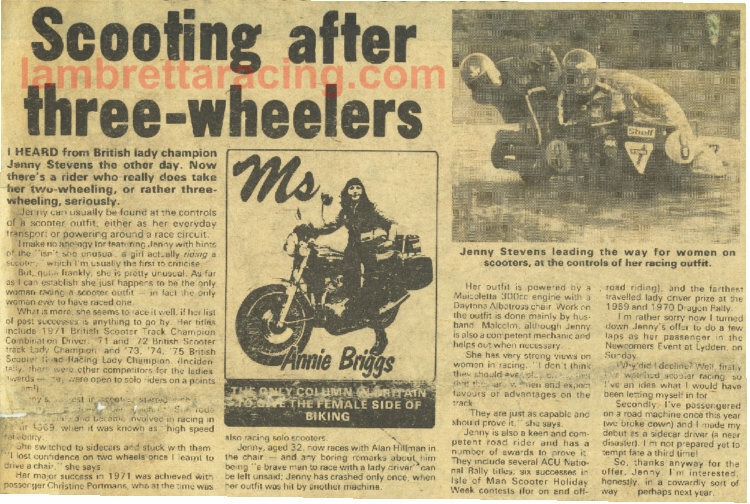 This is Lynne Windsor, at the time from Batley Yorkshire who worked as an investment consultant and was a finalist in the “Miss Nightclub” competition held that year in London. 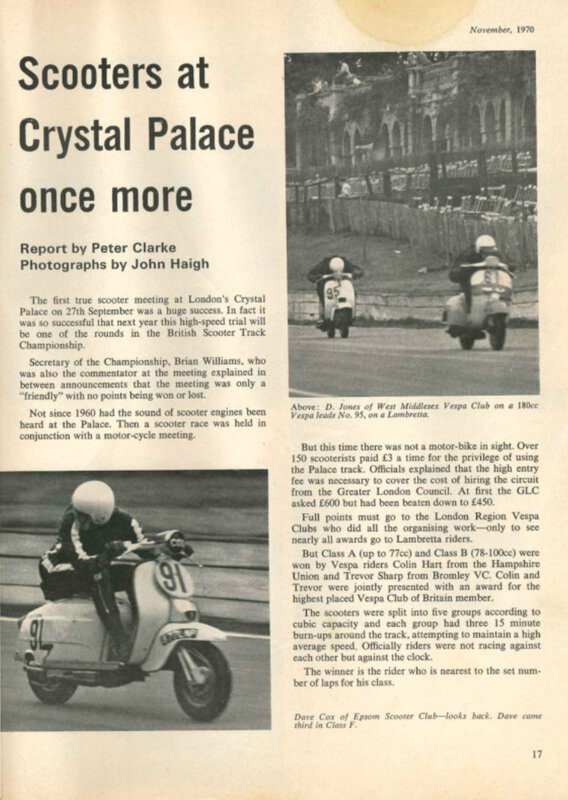 That is her SX150 apparently, which she used for transport; oh and the rest is just some scooter racing at Crystal Palace. 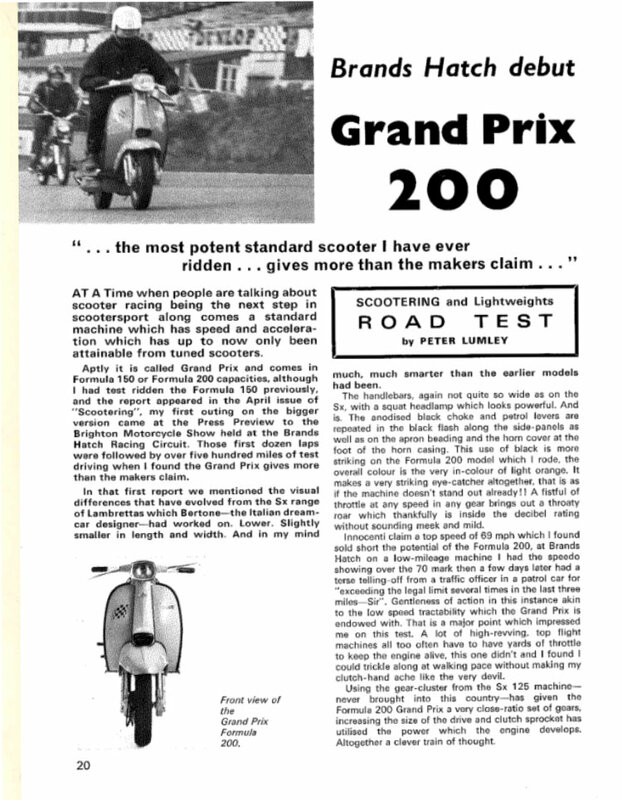 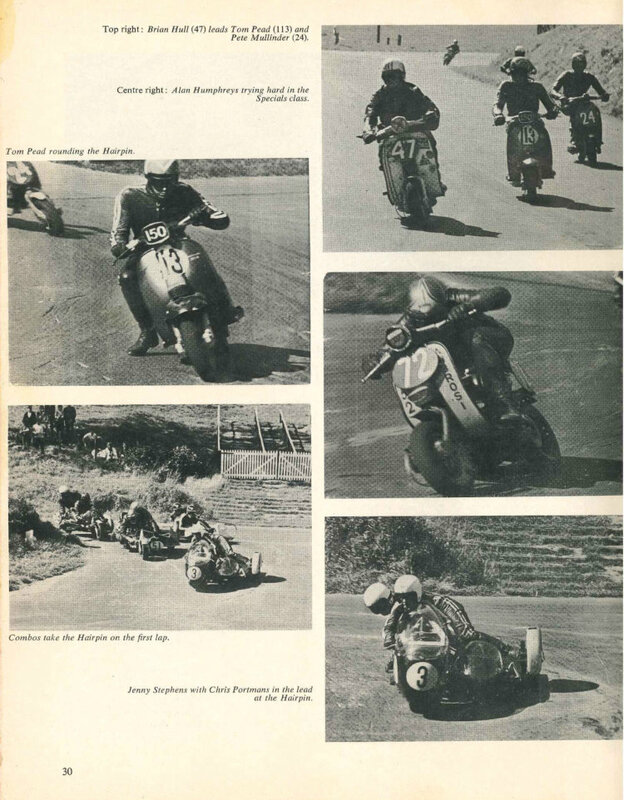 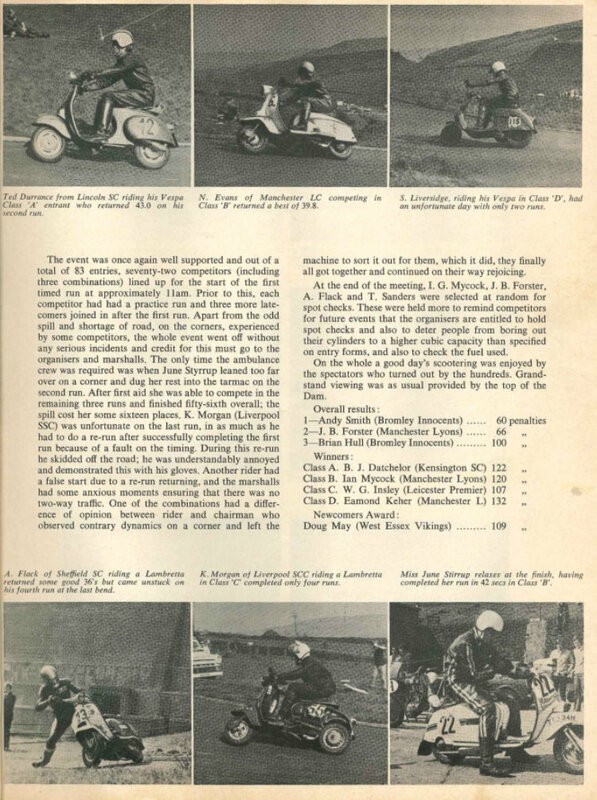 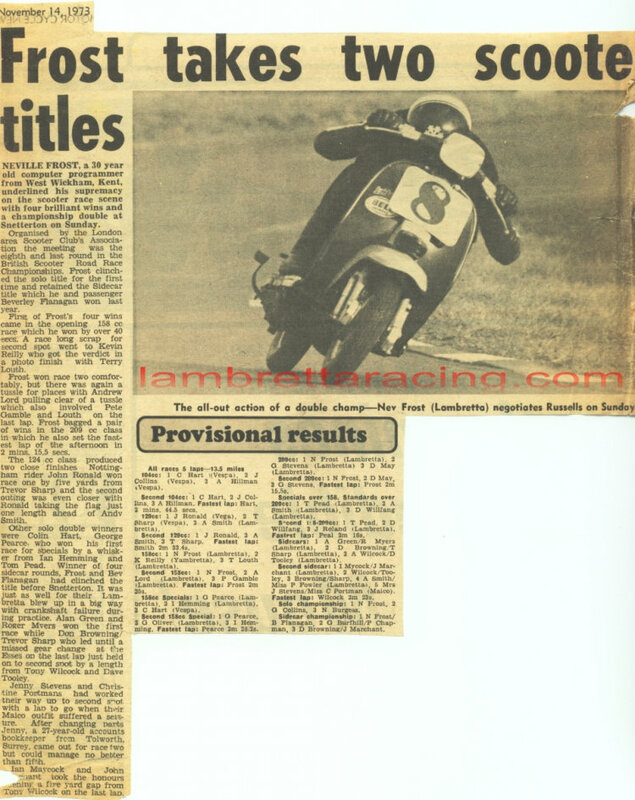 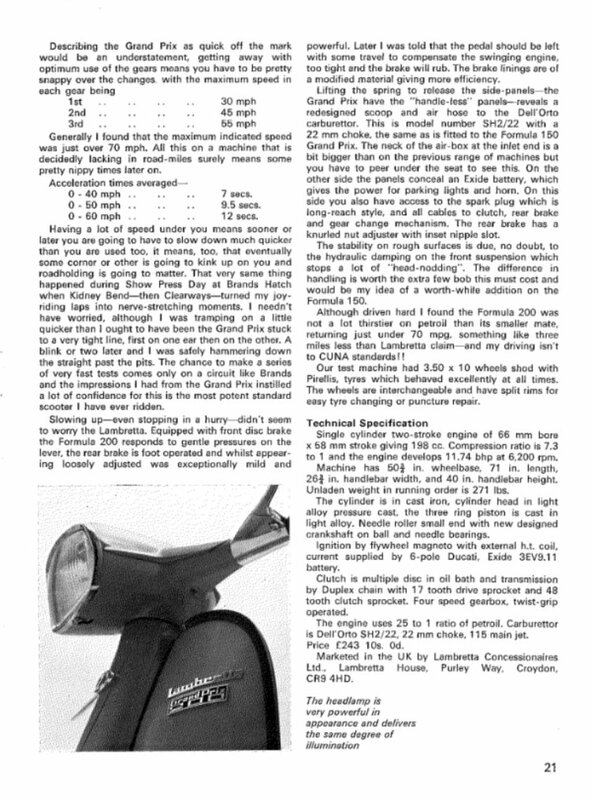 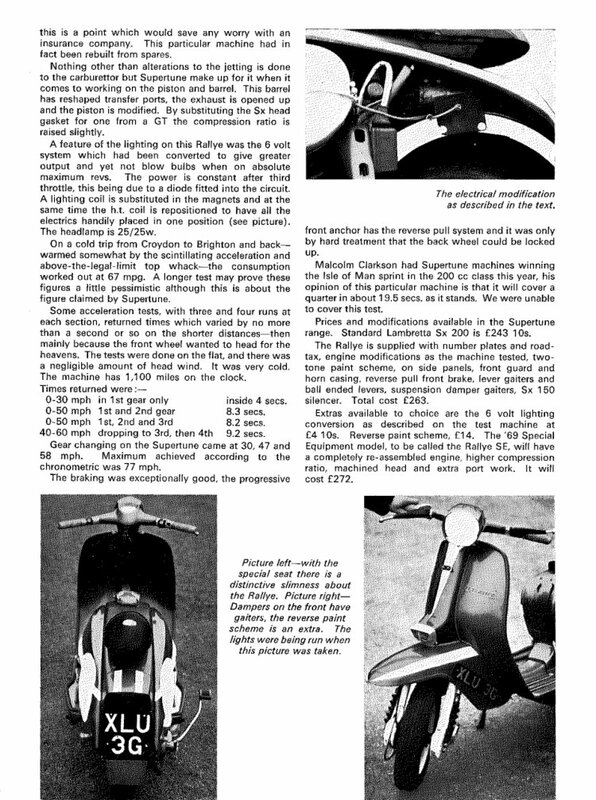 Here we have an article from Scootering and Lightweights, the May 1969 edition featuring a road test on the Lambretta GP200 by Peter Lumley, who was clearly a fan. 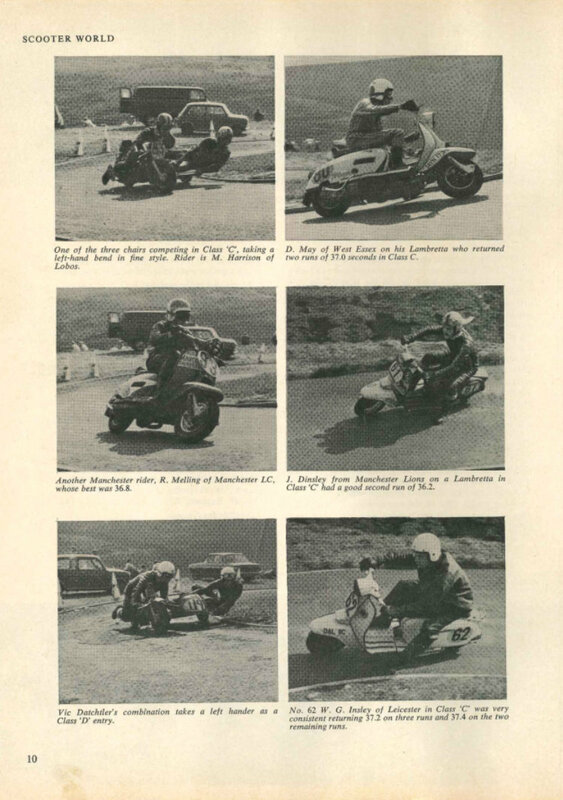 Supertune produced tuned versions of standard Lambretta’s known as Rallye in 150cc & 200cc sizes. 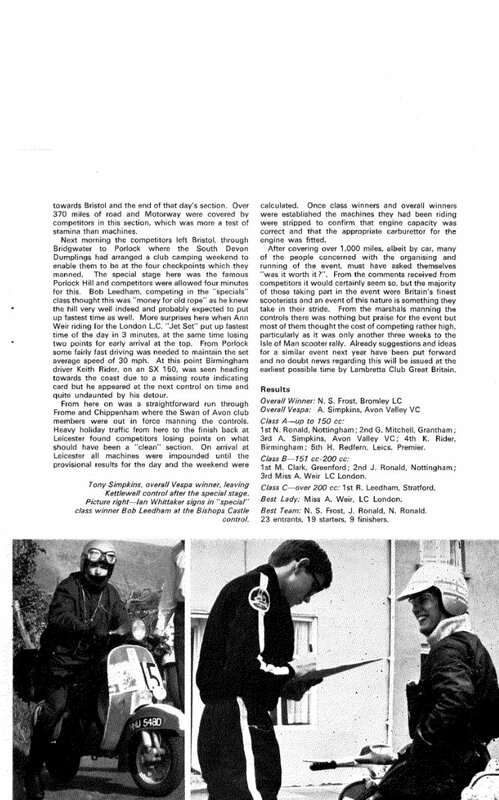 Supertine was owned by Malcolm Clarkson and based at Croyden. 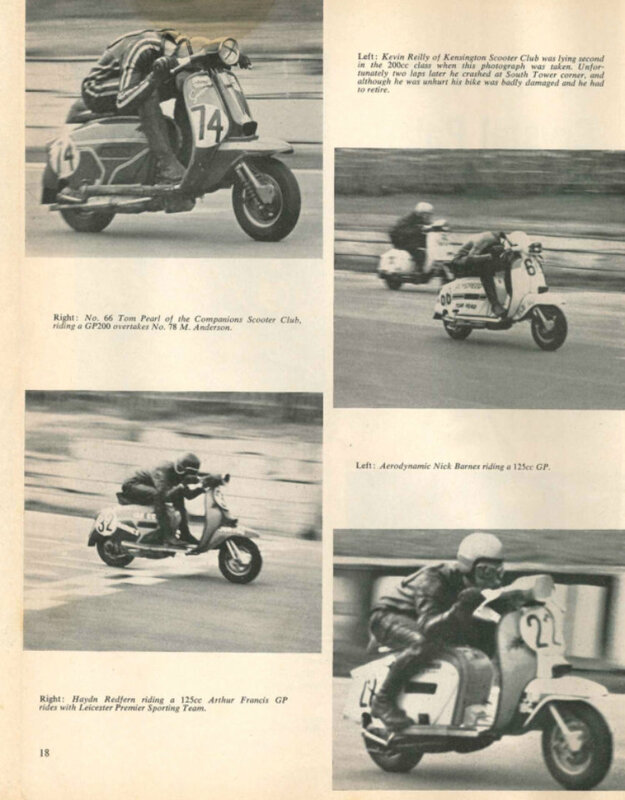 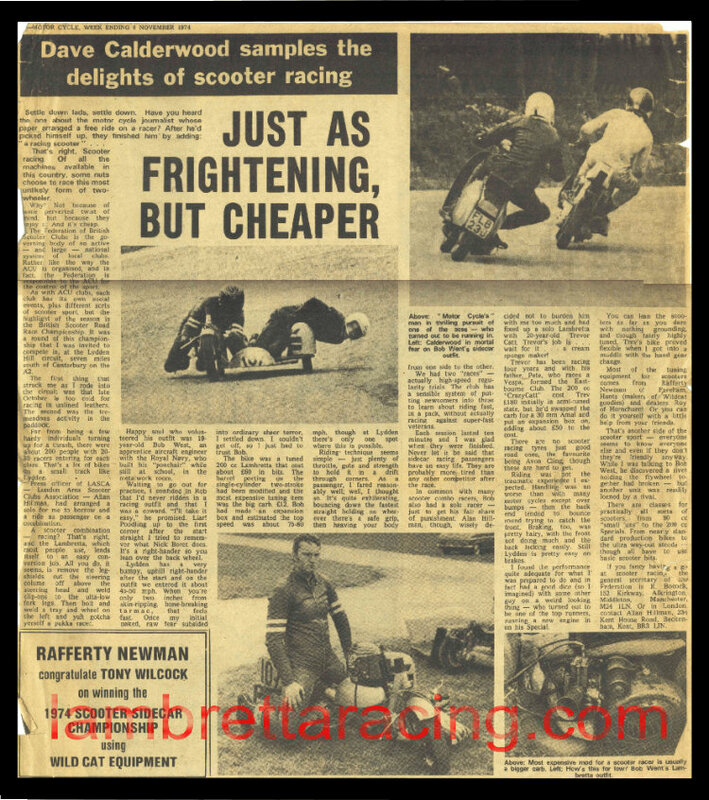 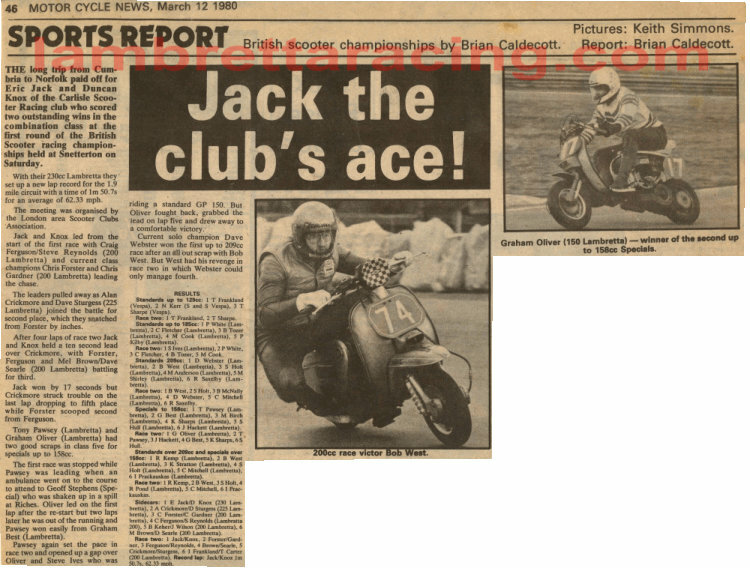 An Article in Scooter World November 1971 featuring a “High Speed Trial” at Cadwell Park. 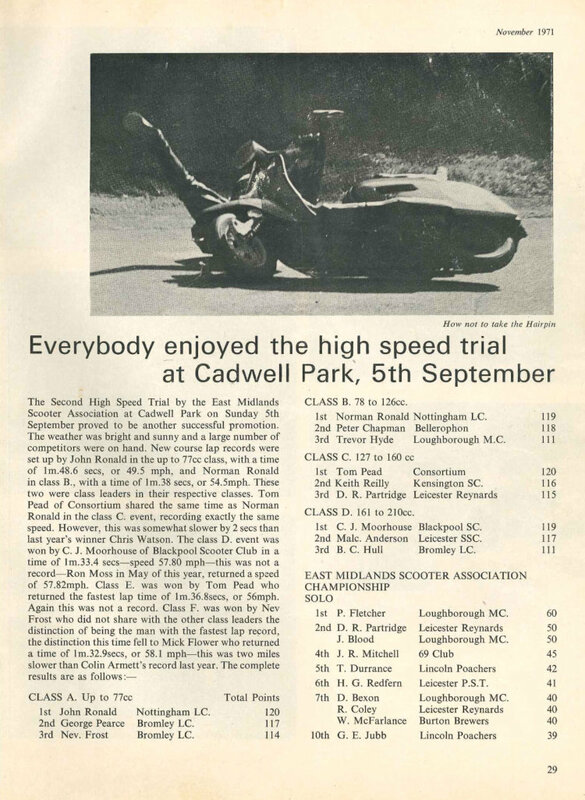 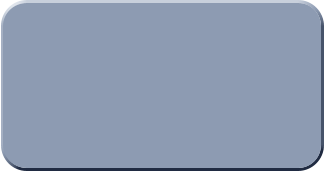 I believe these events were billed as “High Speed Trials” rather than “Racing” because insurance costs for that type of event were cheaper; whatever, they raced! 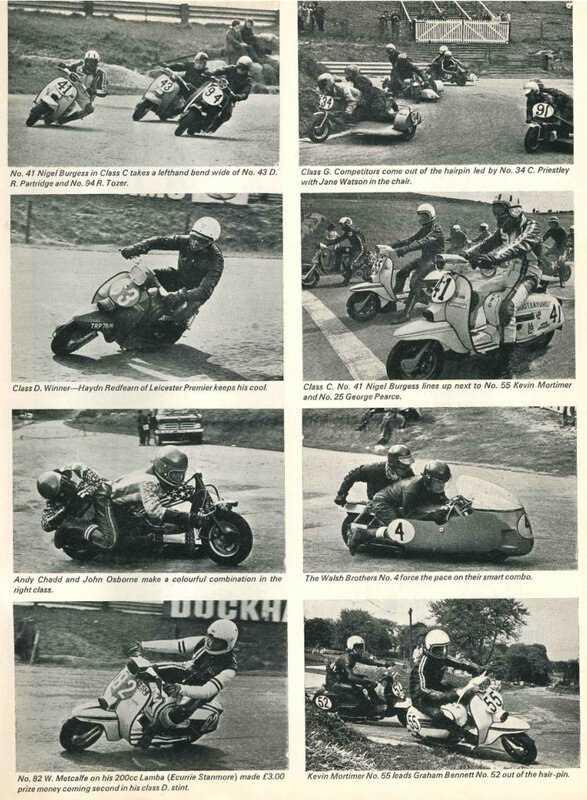 Its another “High Speed Trial” at Cadwell Park, this time July 1972; as you can see from the images all the boys are taking it nice and easy. 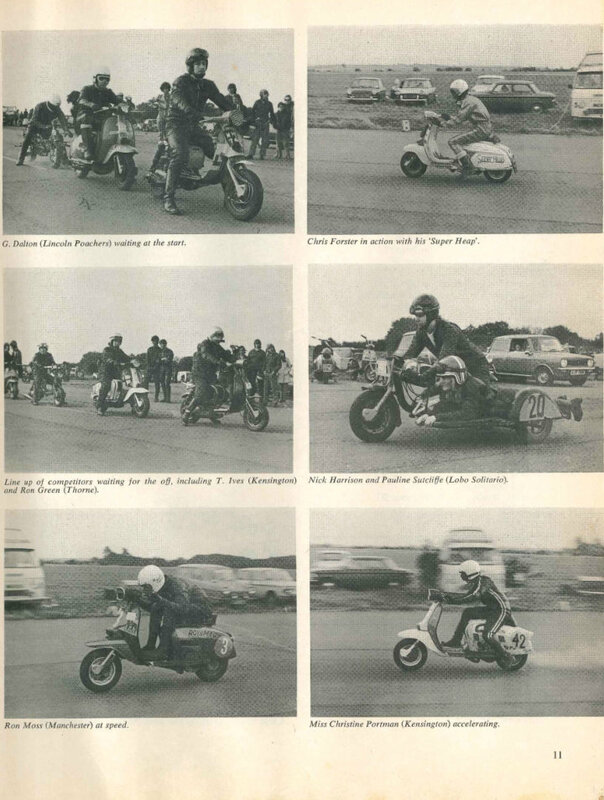 Scooter World November 1971 with an article about a sprint event organised by EMSA, with trouble in the pits for one combo pair and Pauline is clearly not very happy. 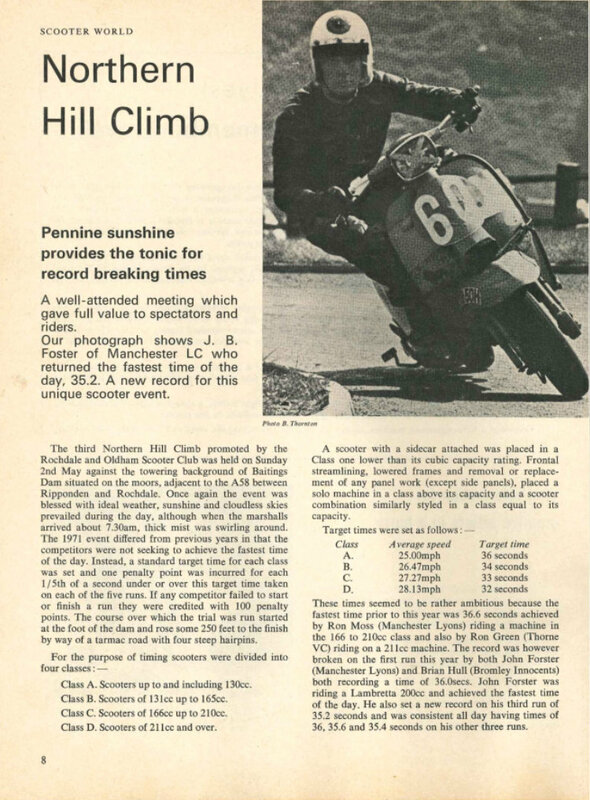 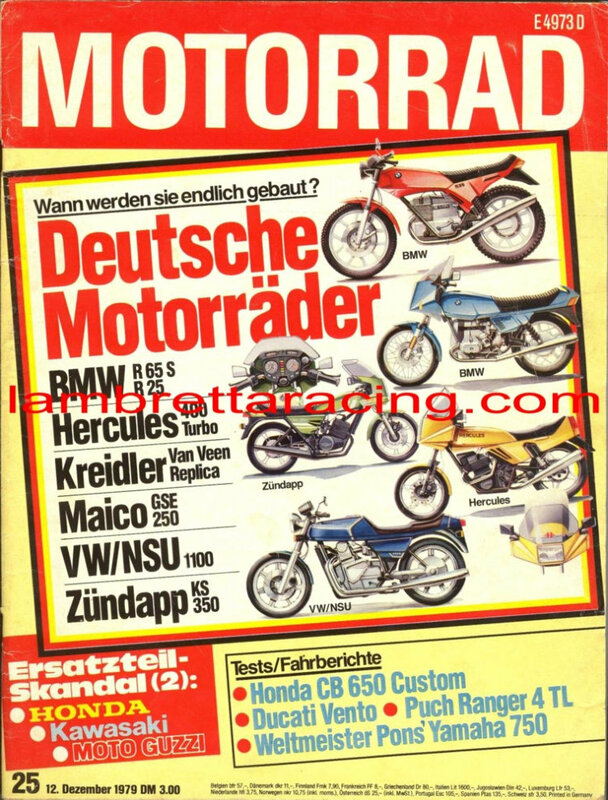 Scooter World June 1971 featuring an article about a Northern Hill Climb held at Baitings Dam on the 2nd May. 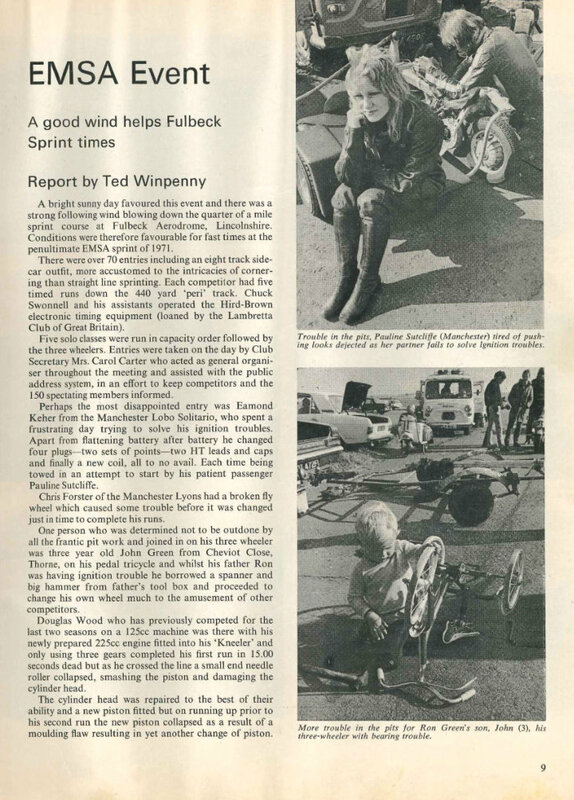 July 1968 from Scootering and Lightweights an article about the Tour of Britain event held that year.